Labor is the largest fluctuating cost for the majority of the hospitality industry. As a result, managers are constantly juggling labor schedules to meet fluctuating customer demands at their restaurants and hotels. Key to meeting these demands - and earning a profit at the same time - is having a dedicated and flexible workforce. Communicating that you value your employees will help create a strong, stable company and maintain a positive working partnership. One way to do this - and manage rising health care costs at the same time - is to offer a suite of voluntary benefits. A customized voluntary benefits program offers employees a variety of options and helps them close coverage gaps often left by high-deductible health care plans, without impacting your business’ bottom line. Beyond the financial advantages for the employees, offering a strong suite of voluntary benefits can actually help reduce a company’s worker’s compensation claims. For one, a happy employee – one that feels taken care by the employer with a strong benefits package – is less likely to file a claim against his employer. And even when employees do file a workers’ compensation claim for an injury, when a voluntary accident insurance policy is in place, for example, it can reduce onerous workers’ compensation claims. In fact, according to the Aflac Workers’ Compensation Report, 40% of companies successfully reduced workers’ compensation claims by leveraging a voluntary accident insurance policy. Similarly, because your employees rely on their paycheck, they may try to return to work before they’re fully recovered, which can easily lead to re-injury. Voluntary disability insurance, another voluntary benefits, gives employees the financial support needed to make a full recovery. The Aflac report also concluded that 36% of companies reduced workers’ compensation claims with disability insurance. It’s known that employees under stress – financial or otherwise - have difficulty focusing. Financial wellness programs, like a robust voluntary benefits package, can help your employees relieve stress and stay productive. Remember, your business depends on excellent service. This can include when employees are missing work to visit a doctor when a voluntary policy might be able to meet their needs for non-urgent care. 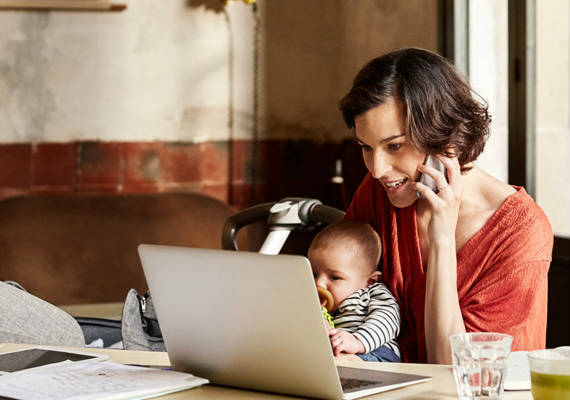 Voluntary benefits like Telemedicine keep employees on the job with easy, 24/7 access to professional medical help over the phone – either at work or in the comfort of your employee’s home. Hospitality employers realize the importance of retaining existing employees, minimizing worker’s compensation claims, improving productivity and remaining competitive in the ever-growing marketplace. A comprehensive suite of voluntary benefits can make it all possible – all at no additional cost to the employer. Contact your HUB broker for an assessment of your current benefits strategy and a customized list of voluntary benefits, your employees and your bottom line.